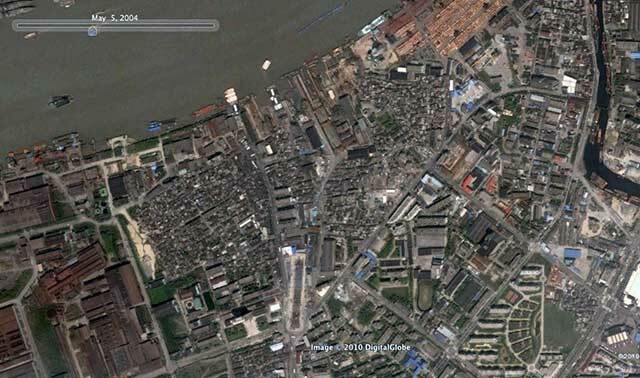 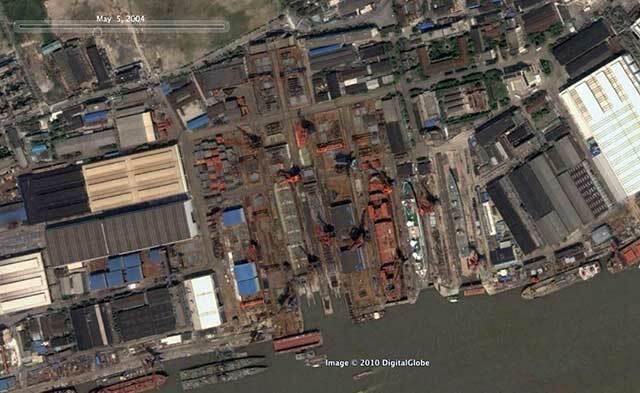 Mass demolition of old districts is something of a “normal” thing in China, but to people who imagine that the large-scale destruction of historic city centres is a thing of the relatively distant past, the fate of Tianjin’s old chinese city serves as a sobering case. 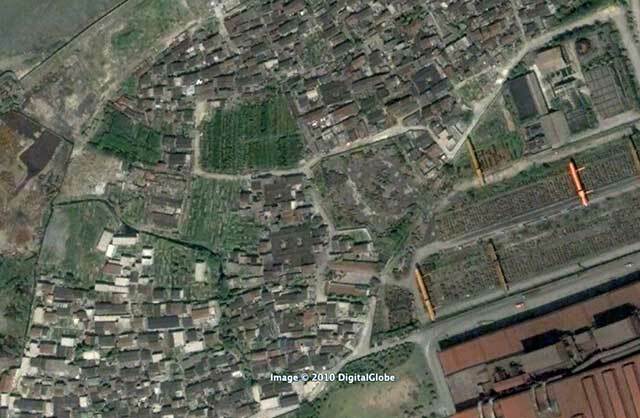 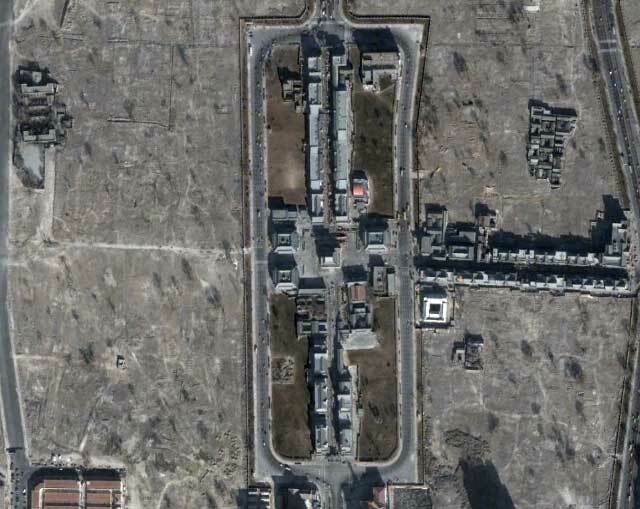 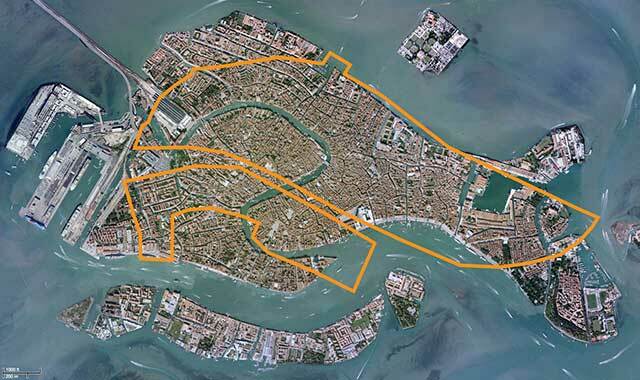 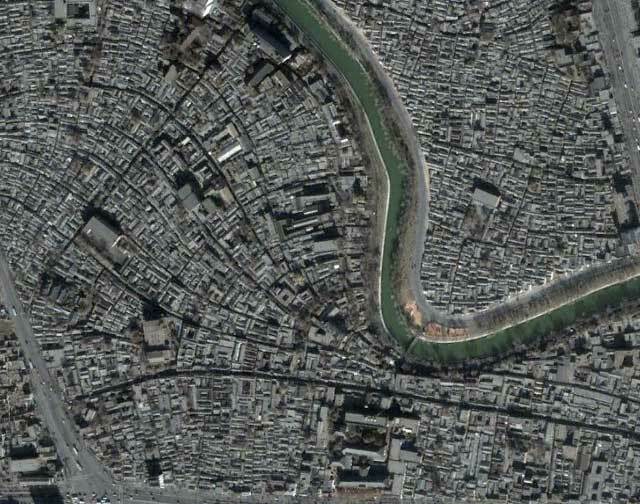 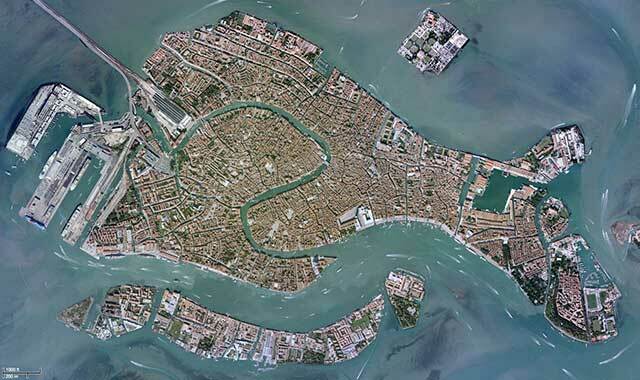 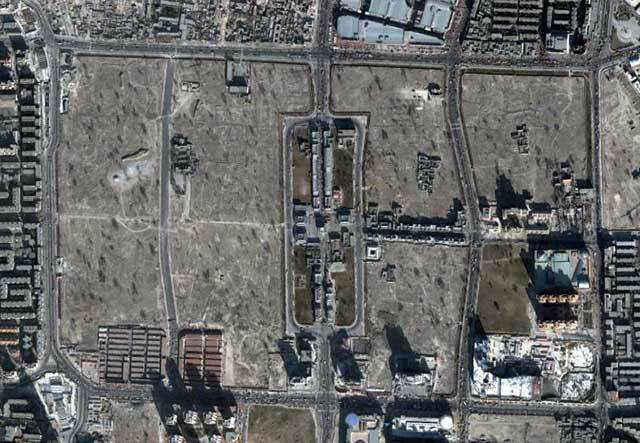 As Google Earth imagery shows, between November 2000 and January 2004 almost the entirety of the area within the old city walls (defined by the large roads forming a horizontal rectangle that replaced the walls), and a considerable part of historic districts outside the walls, was destroyed. 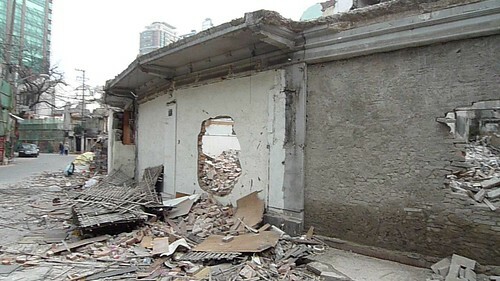 Apart from a couple of important temples, hardly a building escaped the destruction. 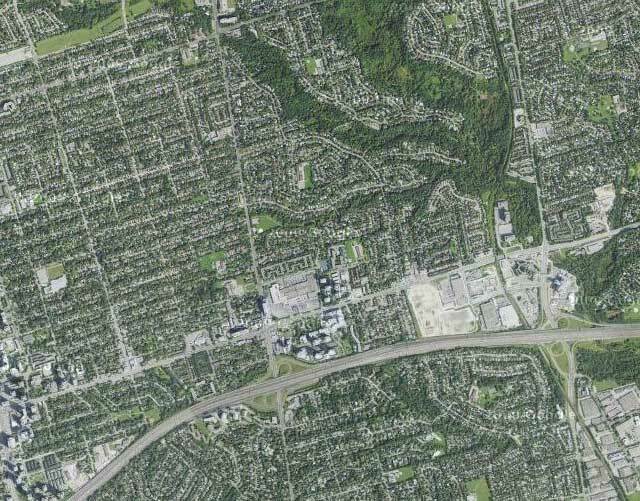 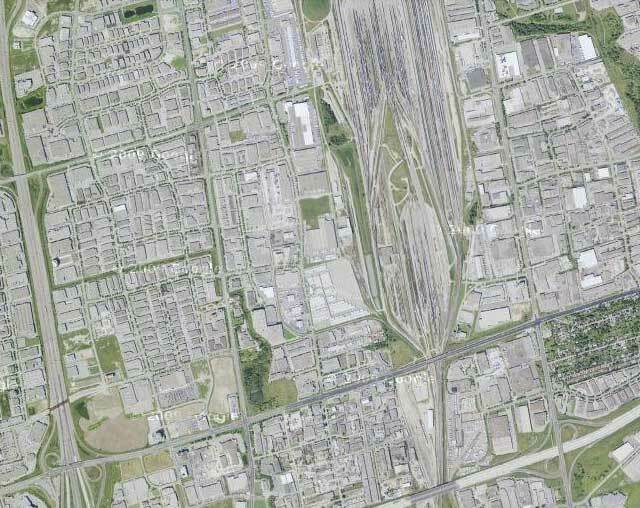 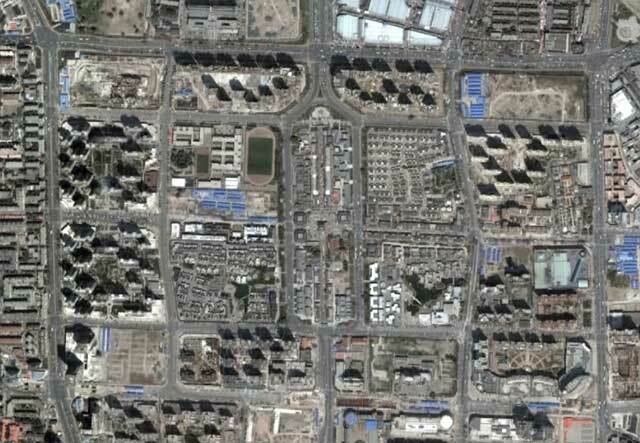 Between 2004 and 2009 the entire area was rebuilt primarily with high-rise residential buildings and a grid of large wide avenues (see 2009 airphoto below). 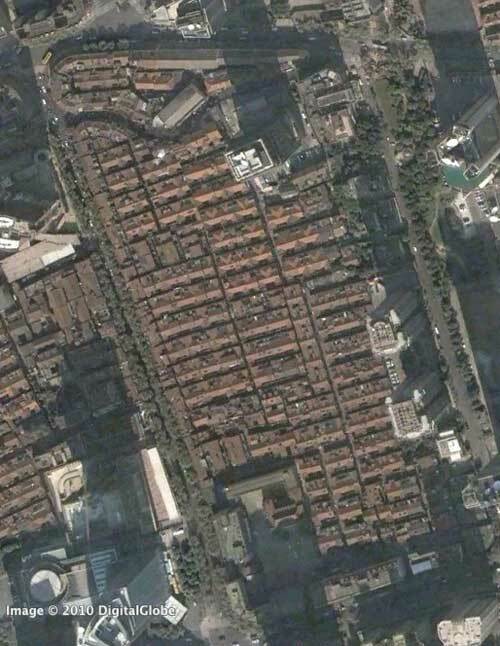 Two streets were rebuilt (not preserved) as “historic” streets in faux Qing style architecture – in the airphoto you can clearly see that the size and roofs of these buildings are not those of the original old buildings, and this type of street is certainly not unique to Tianjin, nor is the concept of demolishing a historic district and replacing it with a sanitized disneyfied historical recreation. 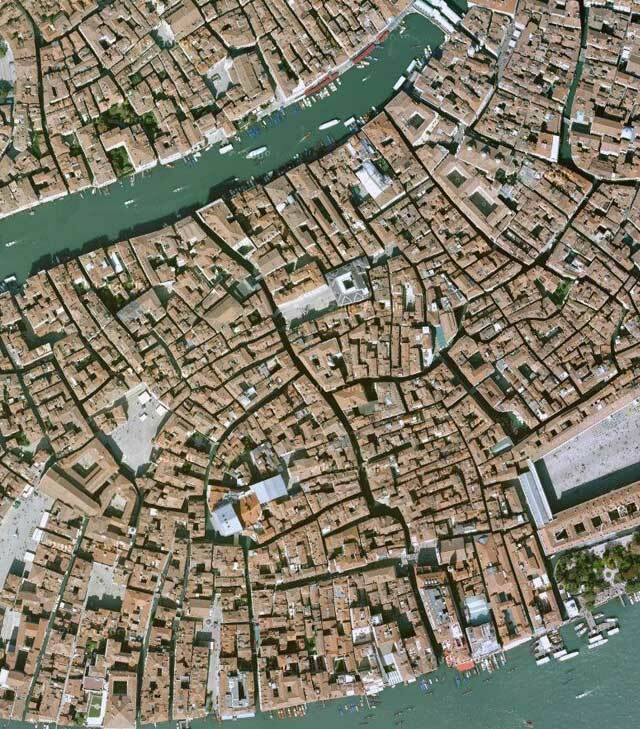 Below in the central detail area you can also see the incredibly fine grain of the original historic city fabric. 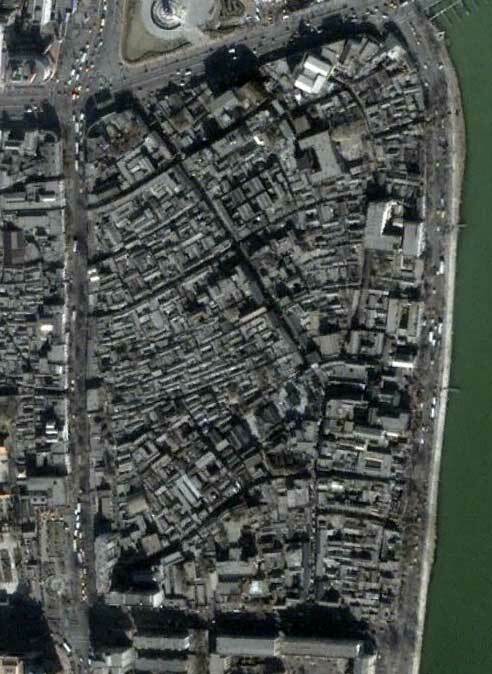 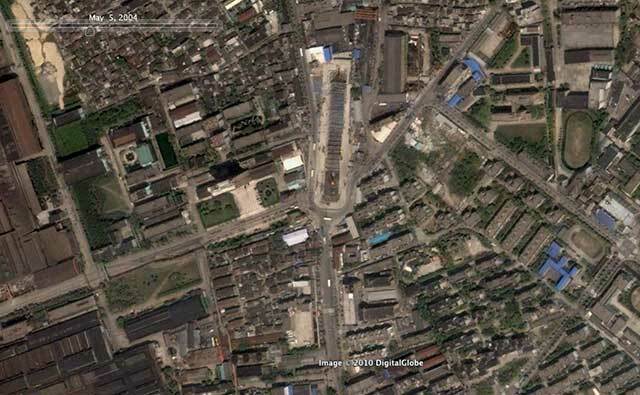 East of the old city walls was an old commercial district along the Hai River, now home to something called “Ancient Culture Street”, but again you can clearly see from the 2000 airphoto (see rollover below) just how much of the historic fabric has been preserved (one temple and 6 courtyard warehouses along a lane). 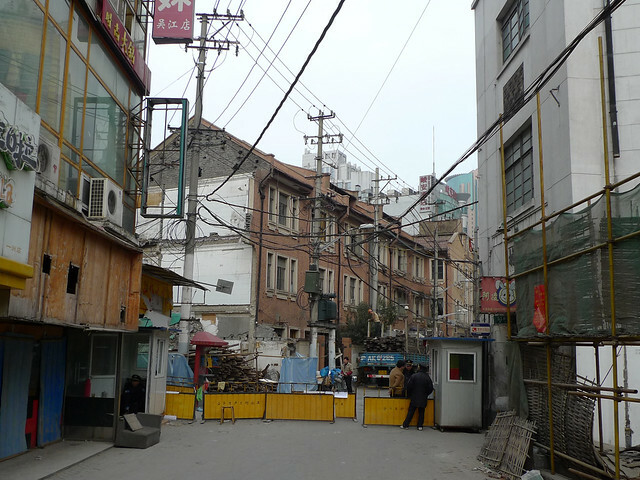 Even Beijing has been guilty of this attitude towards a “historic” street in the Qianmen St “renovation” which includes an “old tyme” streetcar route and restaurant staff dressed up in Qing dynasty costumes. 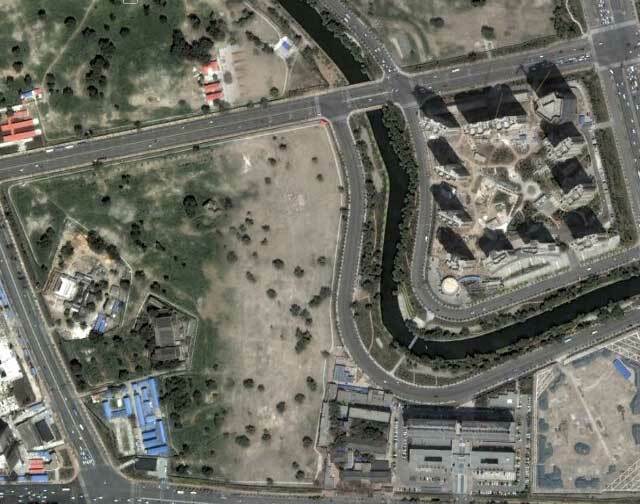 It seems pretty odd (but fairly typical in China) to have a city concerned to display and exploit its historic pedigree, while at the same time indiscriminately demolishing its own genuine heritage. 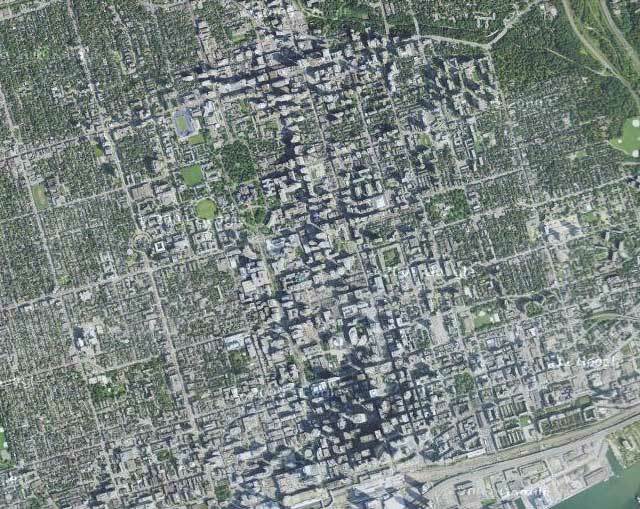 The reasons are certainly complex and numerous, but foremost among them seems to be a perception that the actual heritage is not nearly impressive or valuable enough to warrant saving, nor, if saved, would give the city’s history the requisite prestige, dignity and respect. 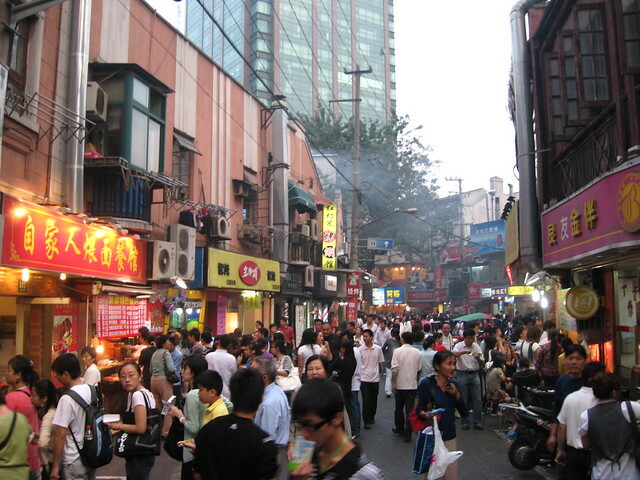 Most chinese cities seem to have decided that as far as both tourists and city residents are concerned, it’s far more popular, profitable, and prestigious to create sanitized reproduction tourist traps. 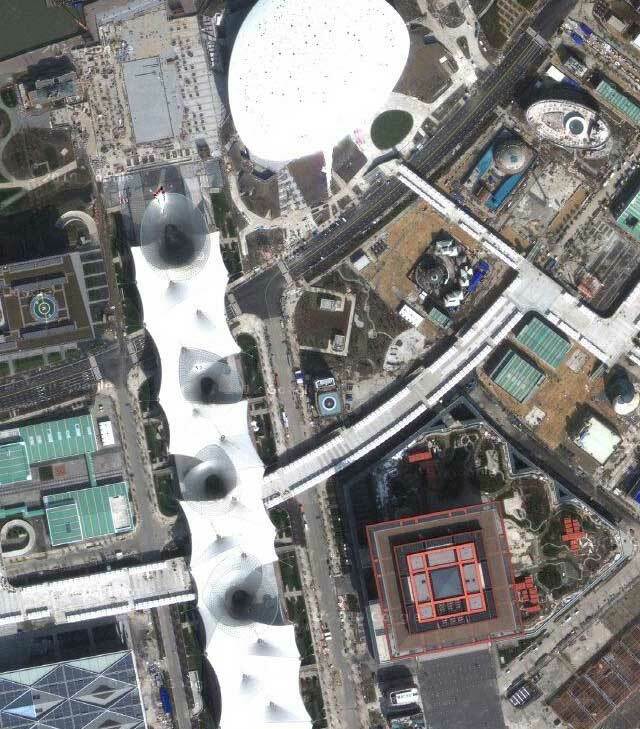 Of course, the excuse of “face” may just be masking a deeper reason for demolition and development: money. 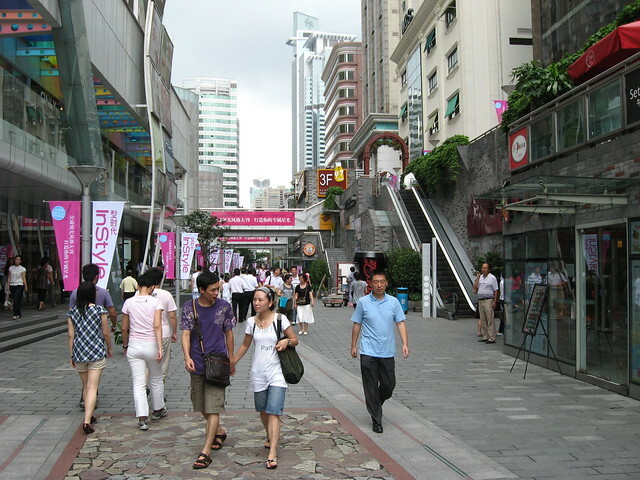 Many current residents of the overcrowded, underserviced and dilapidated buildings in older districts tend to be eager to receive the government rehousing compensation that comes from the repossession of their homes, giving them the opportunity to move into more humanely spacious and serviced modern apartments. 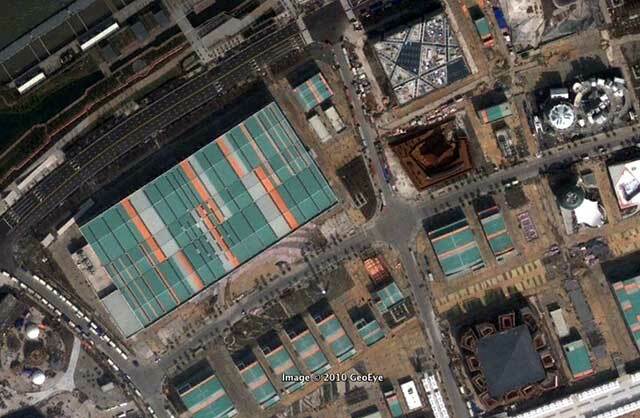 Meanwhile, the government is just as eager to earn the profits from selling (or should we say flipping?) 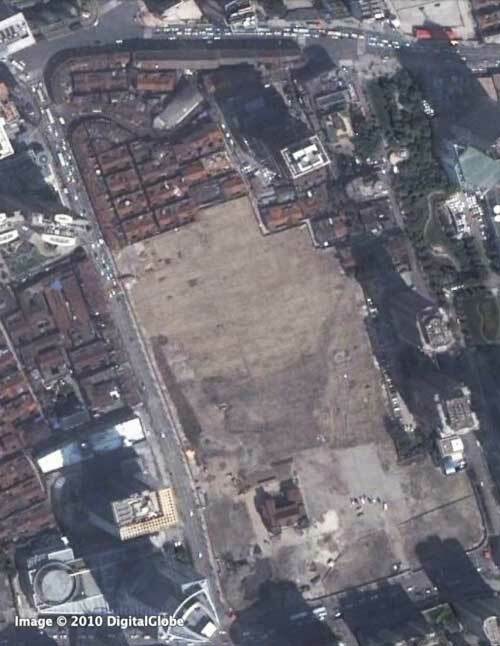 the repossessed and cleared land to the highest bidding developer. 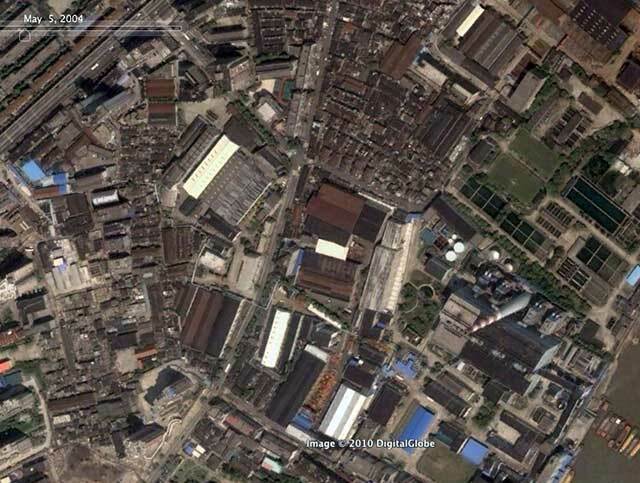 Needless to say, the profits available from renovating buildings within the existing fabric would fall far short of those from even relatively low-density redevelopment, and given that there are no property taxes in China, cities are basically forced to make money from land sales. Meanwhile, the compensation for the original residents tends to allow them to buy cheap apartments far out at the edges of the city, while the property prices in the older districts inflate endlessly beyond the reach of even many of the middle class. 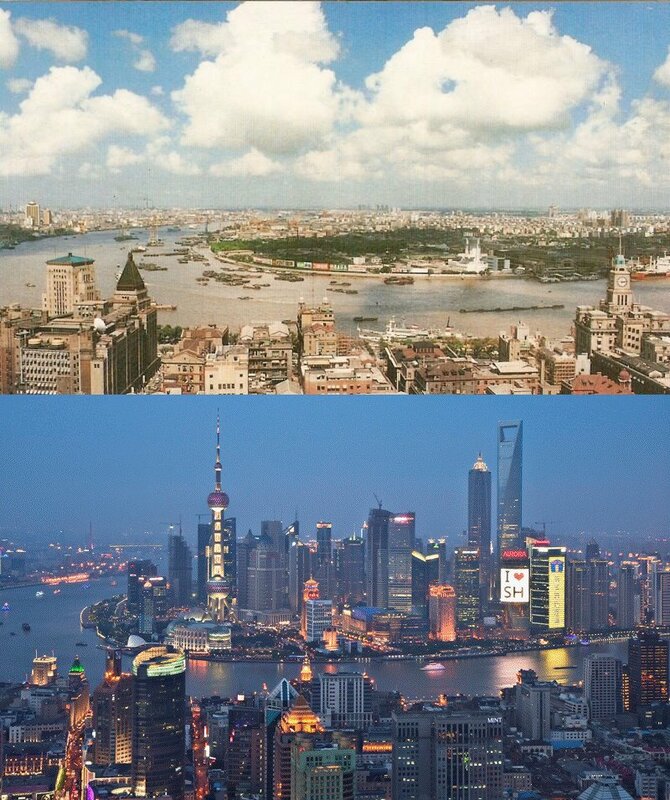 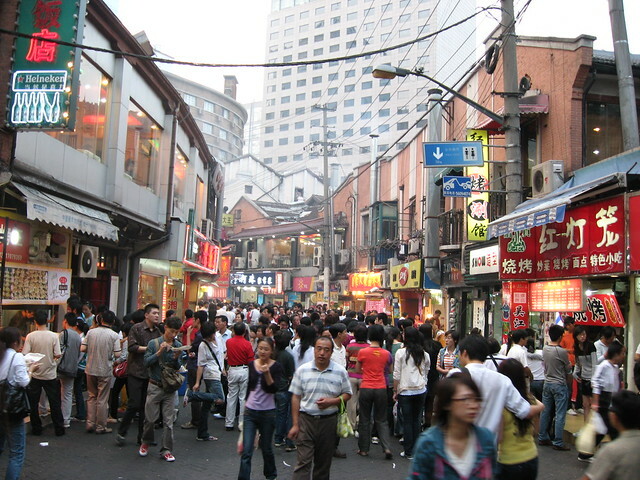 Further complicating the situation in Tianjin is the city’s history (or in this case, lack of ancient history). 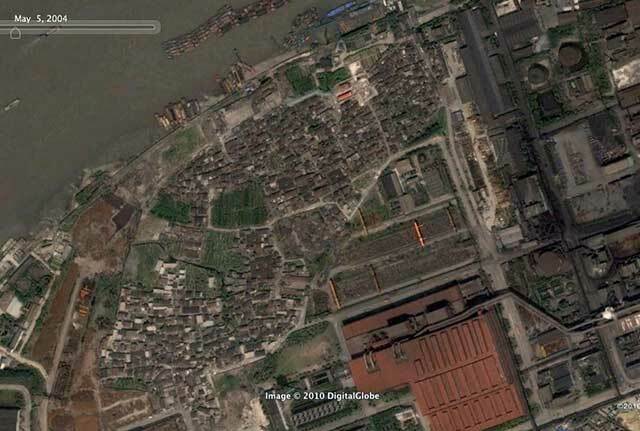 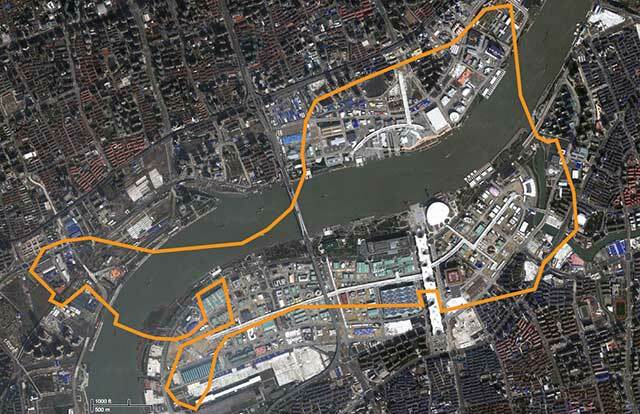 As history in China goes, Tianjin’s 600 years of establishment (at least as a walled, officially recognized city) pales in comparison to most chinese cities. 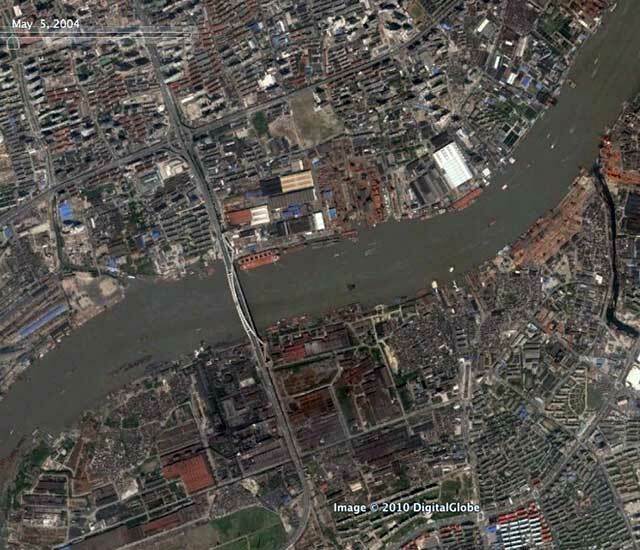 Then, like Shanghai, Tianjin was opened up to foreign concessions in the 19th century and the history of the chinese city essentially was overshadowed from that point forward. 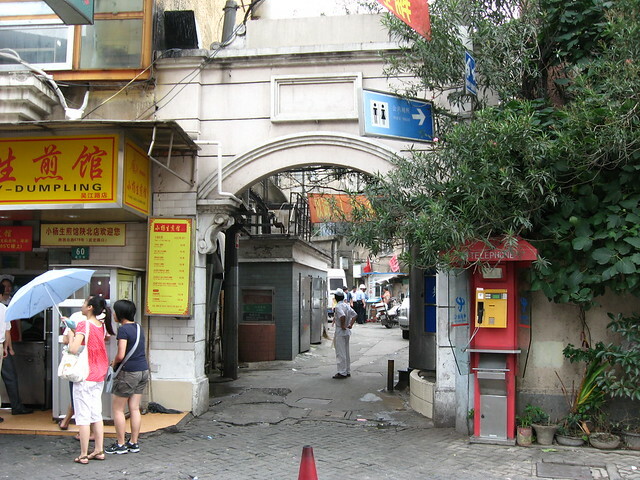 As a result, the many western buildings of the former foreign concessions have been seen as far more valuable than the messy, dilapidated, overcrowded chinese city. 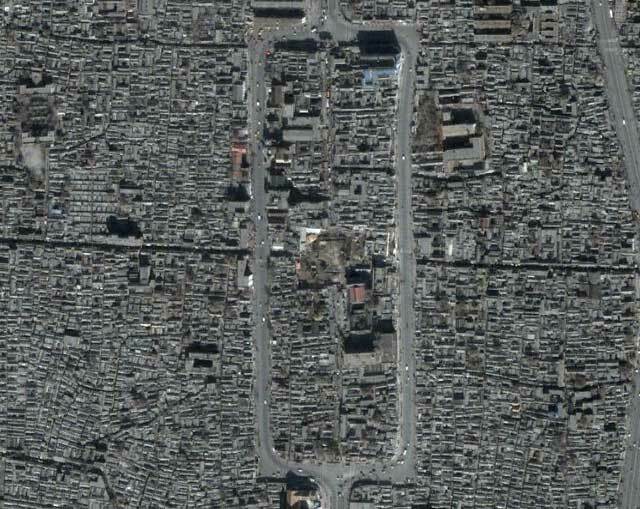 Regardless of the reasons, the end result is the same: widespread demolition of whole districts, destroying hundreds of years of history. 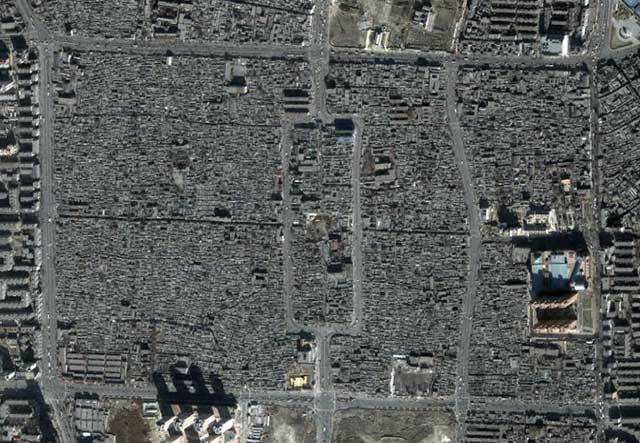 The scale of the destruction can be so huge, it makes you wonder if the city has been bombed during a war or experienced some horrendous natural catastrophe. 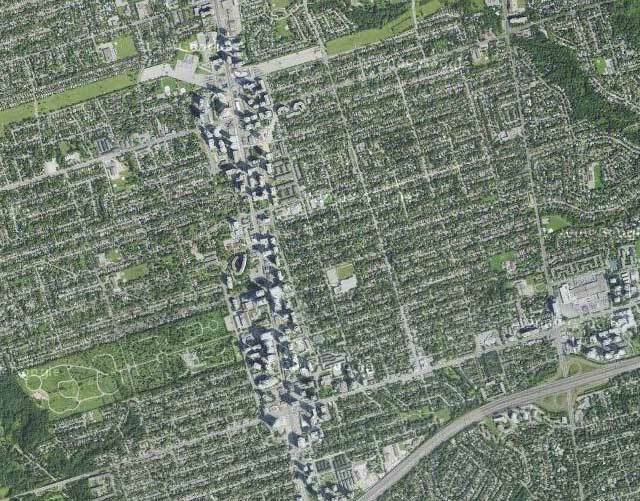 Alas, no, this is a wholly manmade and peacetime catastrophe of epic proportions. 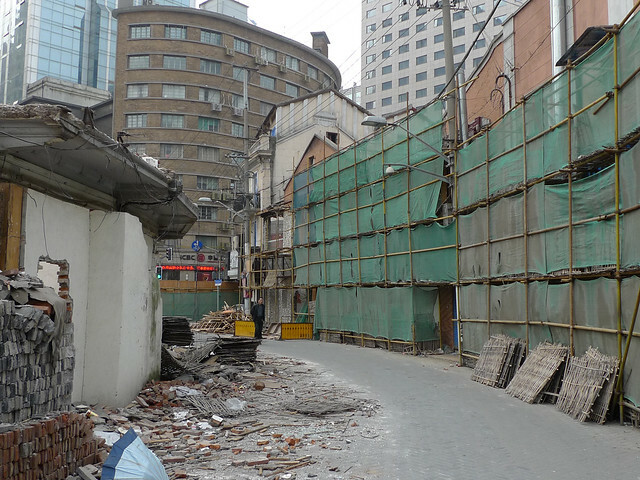 The remaining original portion of Wujiang Lu (吴江路) food street (east of Shimen Yi Lu 石门一路) is being demolished. 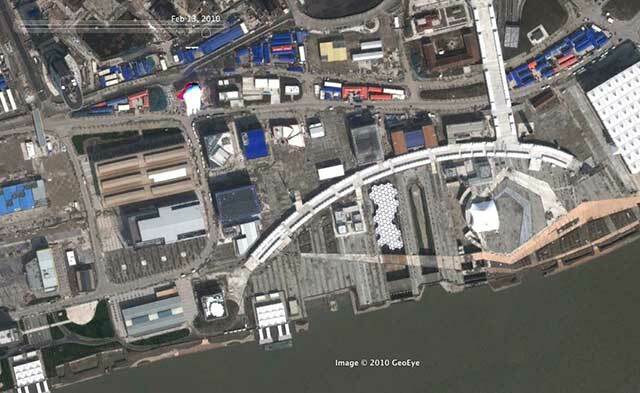 The pedestrian food street has (or soon to be had) a very distinctive (dare I say delicious) curve to it which may be disappearing forever once demolition is completed. 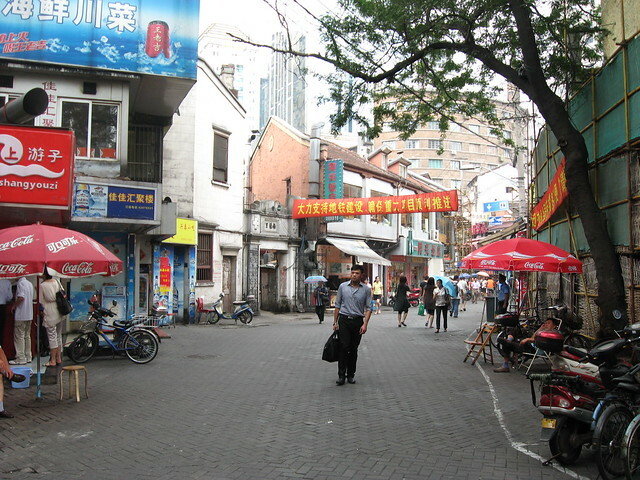 I previously reported on the contrast between the character of the food street and the earlier redevelopment of the portion west of Shimen Yi Lu and gave some history of the street itself. 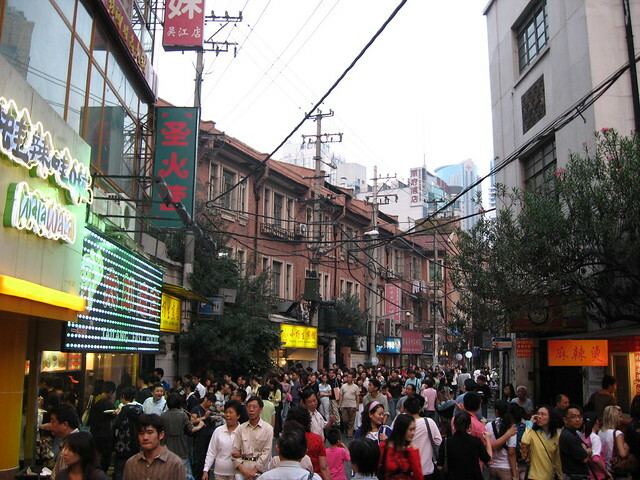 This post however is more about reflecting on yet another loss for Shanghai’s streetlife, so here are some before/after photo rollovers I’ve prepared (so we can kick it like it’s 1996) – first photos were taken around dinner time in October 2008 when it was absolutely crowded, rollover photos are from February 2010 in the midst of demolition. 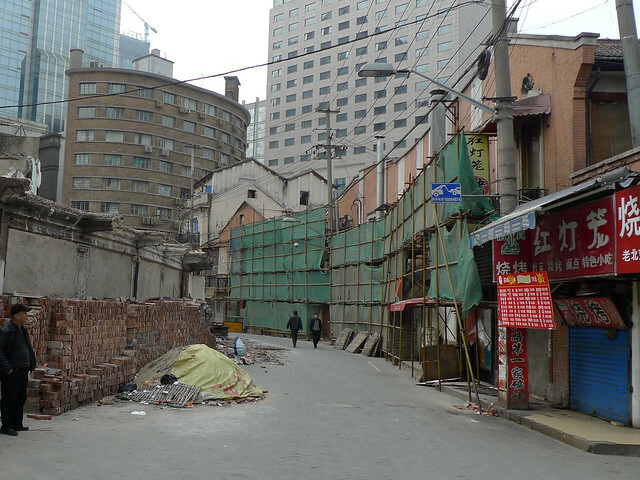 Below you can access my Flickr set slideshow “Requiem for Wujiang Rd” that I made as an act of remembrance – you can see full size versions of these before-afters as well as other photos of Wujiang Lu before demolition began, and some video compilations at end. 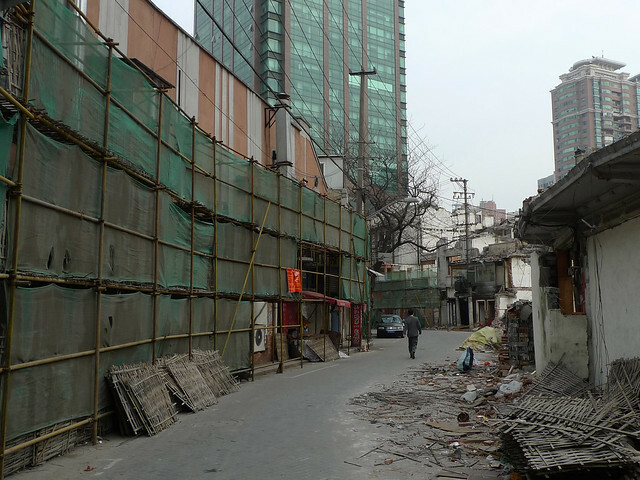 Below you can access my Flickr set slideshow of photos during demolition of Wujiang Rd and the small lane neighbourhoods to its north and south (the two videos below also appear at the end). 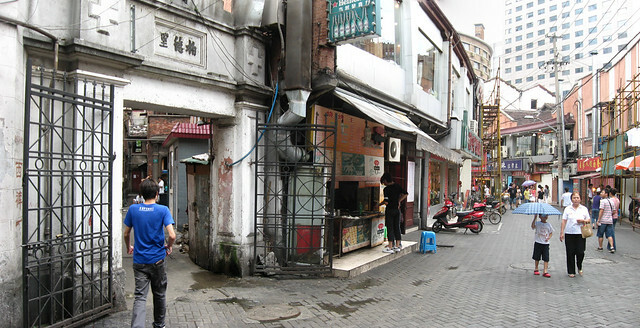 I made a couple of videos walking through Wujiang Lu and the small lane district on its south side on February 24th 2010, (Flickr only allows 90 second videos so it’s split it into two parts). 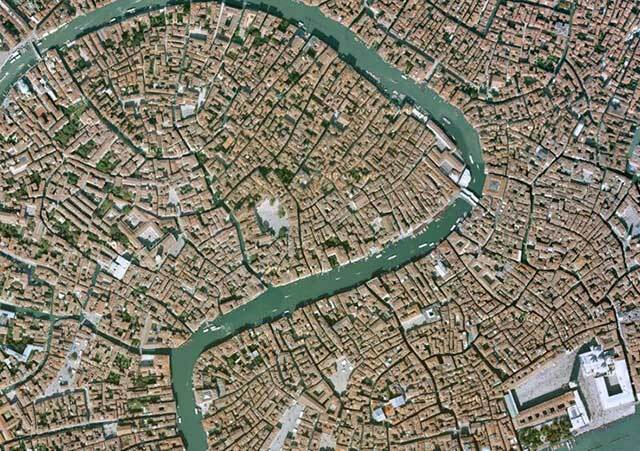 See below (note, videos have music). 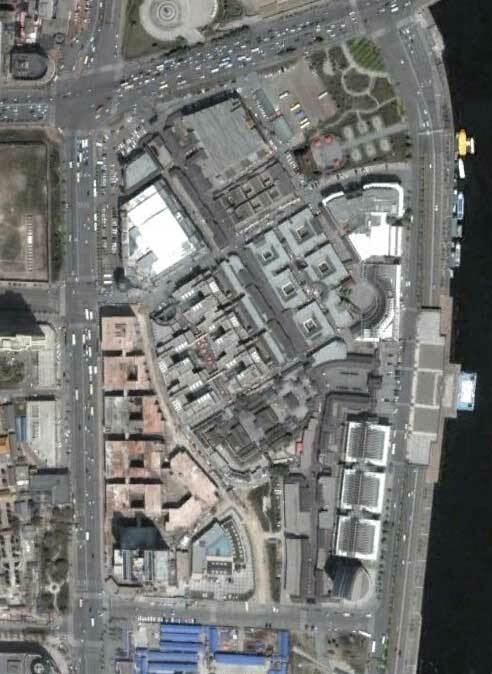 I won’t comment too much about this because it makes me too angry and sad to see something that was so popular and fascinating wiped away for more bland corporate anywhere urbanism. 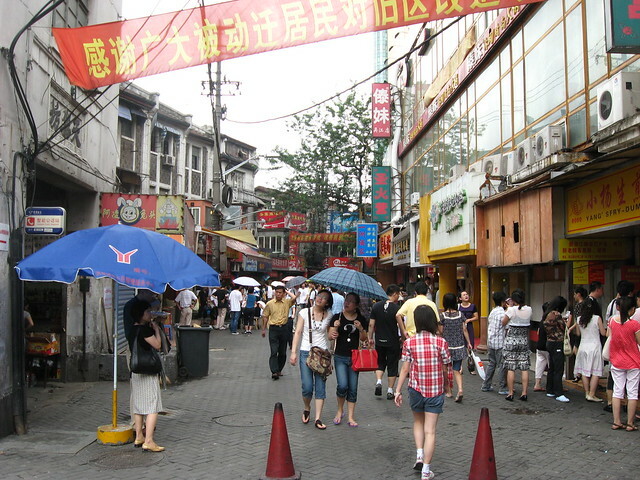 Wujiang Rd (吴江路) is a small street in Shanghai that has gone through several transformations in its history, from a den of vice, to a popular food street, to a high-end pedestrian “leisure” street. 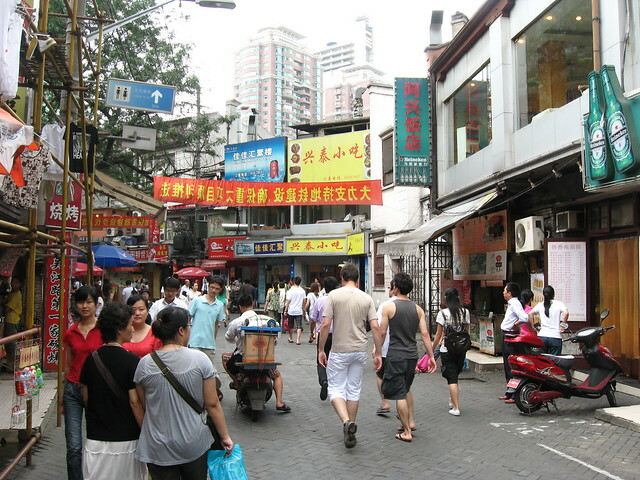 Situated in Jing’an district just off Nanjing Xi Lu near the subway station on Line 2, the street’s origins lie sometime before the 1860’s when its winding path following a creek made such a convenient shortcut that it became Shanghai’s first toll road and was known in chinese as Diamond Bridge Rd. 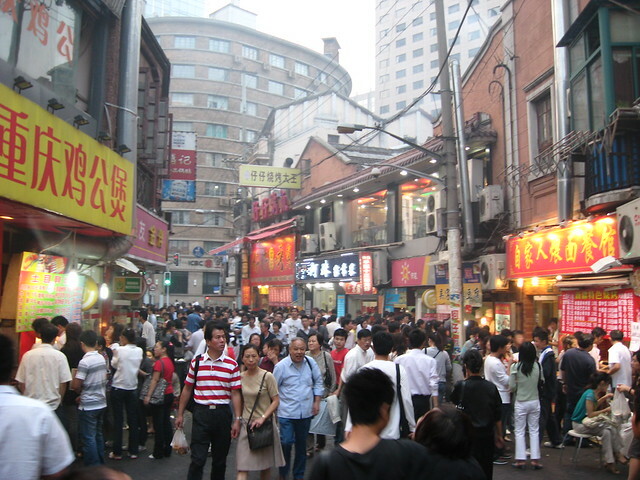 At some point in later decades Wujiang Lu became a very popular food street with crowds of locals jostling for cheap treats from all over China. 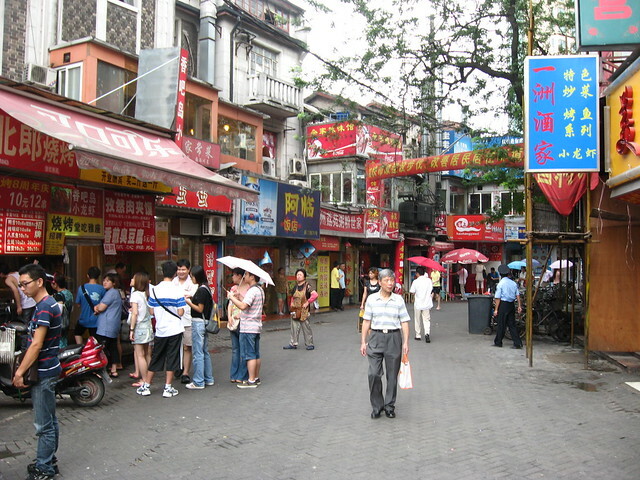 Unlicensed stalls lined the pedestrianized street competing with the small restaurants, some of them quite famous. 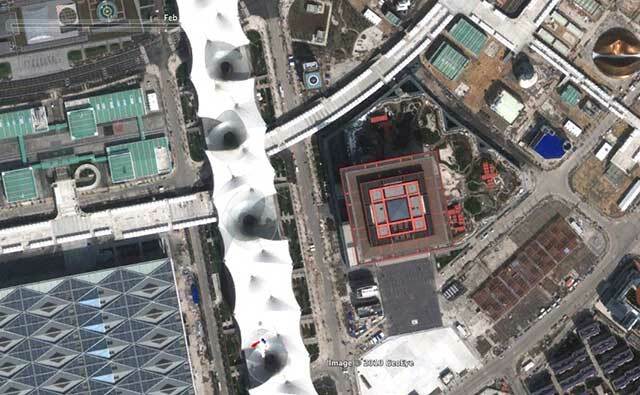 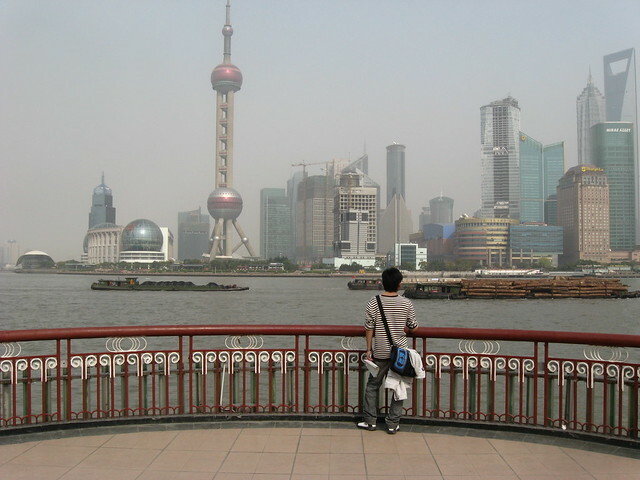 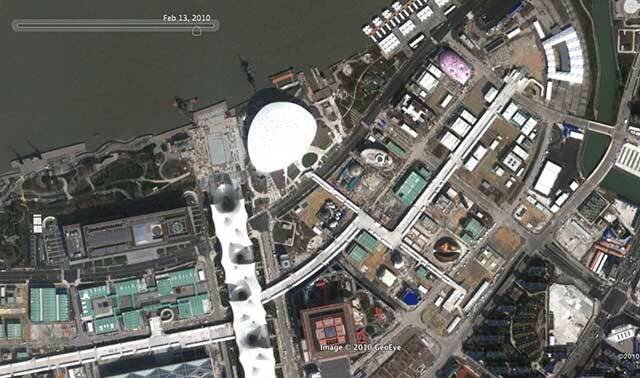 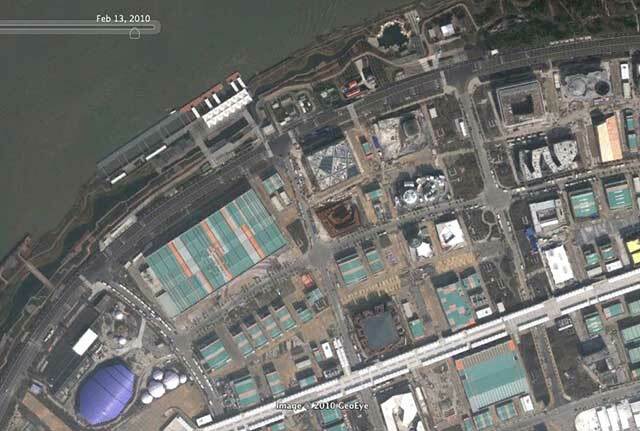 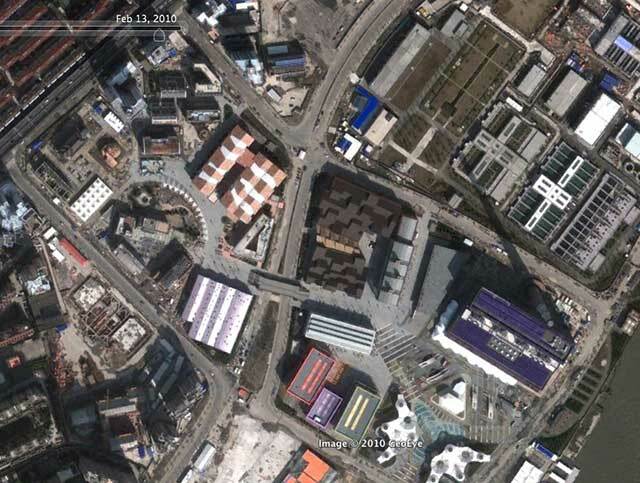 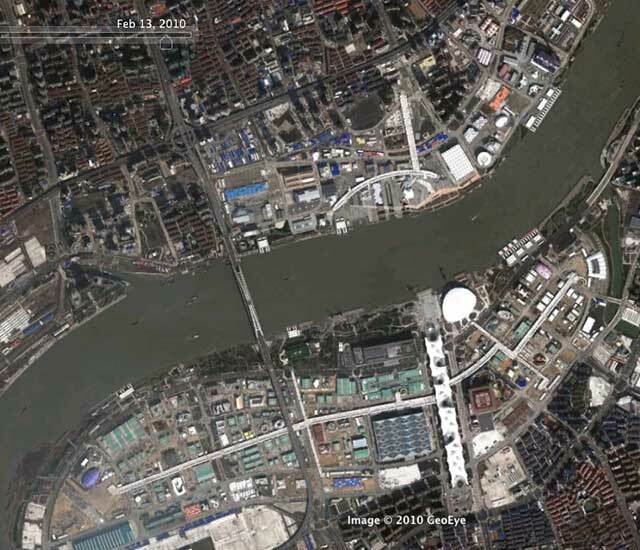 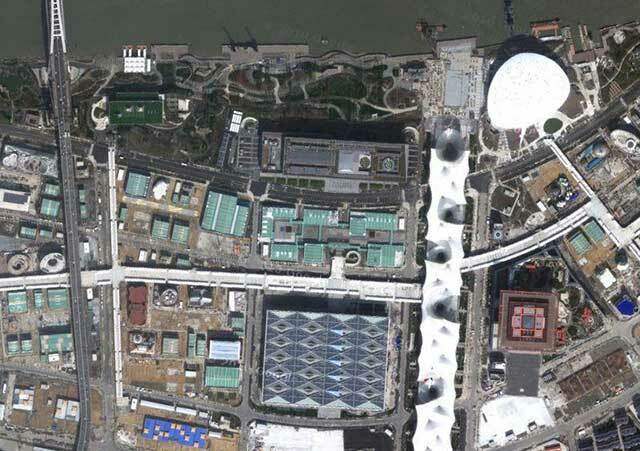 Then along came the spectre of Expo 2010 and a very strong government desire to “clean up” places like Wujiang Lu. 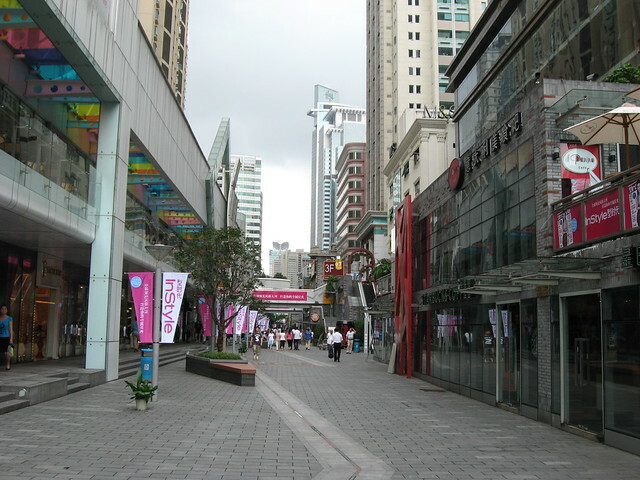 The section of the street west of Shimen 1st Rd was entirely demolished and replaced with “Wujiang Road Leisure Street”, a new pedestrian street of fashion boutiques and chain restaurants, a dull corporatized pedestrian mall. 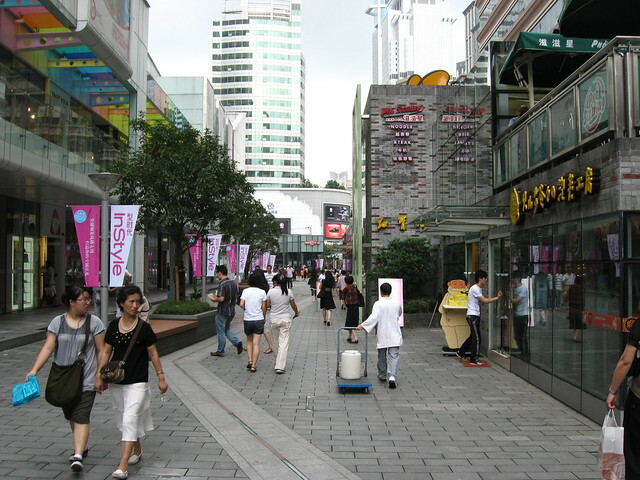 In events very typical of current chinese redevelopment, a place abounding in street life and food and shops affordable for most chinese locals has been replaced with expensive shops and restaurants targeted at the nouveau riche. 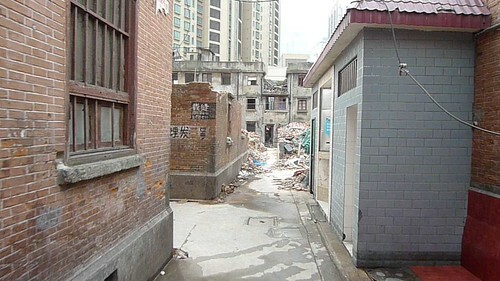 The section of Wujiang Lu east of Shimen 1st Rd has survived so far, but it seems has been cleaned up a lot and the unlicensed vendors removed. 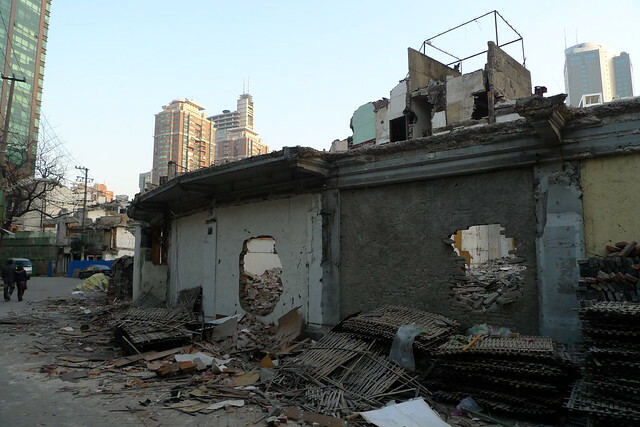 It’s unclear whether or not the short remaining block still has demolition looming over its head.